Have you been affected by the rainy weather? Do you have burst pipes or have you forgotten the tap running? We can understand your frustration, these things can happen to anyone! So don’t feel like you’re left alone. 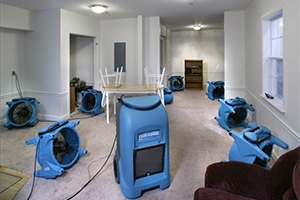 Floods affect more than 1000s of properties each year and this is where Canberra water damage restoration professionals come in to clean up the mess, dry up your carpets and ensure the humidity of your property is stabilised. Don’t feel the need to get a new carpet or rip out the skirting boards, flood damage can be restored. All you have to do is to make sure you choose the right company to take care of the job for you. Not every company understands or has the knowledge and expertise to restore your property from a heavy flood. They often do not have the tools required to handle the situation. Ecodry has been in the industry long enough to make a huge difference the minute we enter your home. Our expert technicians have been fully trained and certified to understand what sort of treatments are required to return your property back to its original condition, at a glance. The initial assessment of your property is very important in order to fix the damage from the ground up and ensure no water is left behind in the carpets or the underlay. The only way to understand the level of flood damage caused to your property is to use the right tools along with the right information and techniques. Our technicians have been hand picked by our knowledgeable managers to do just that. They are not only experts in floods, they are also certified carpet and upholstery cleaners. This means they will ensure your carpets and upholstery are left in mint condition before they leave your property. In order to ensure your property is in safe hands and has been taken care of professionally, our technicians will be able to assess the property and give you advice on what’s the best method forward to repair the flood damage quickly and efficiently. It is very important that your carpets and the underlay have been dried up carefully in order to avoid any health issues arising in the future. Wet carpets can cause mould and affect the health of your loved ones. Having the right equipment is the only way to measure up the humidity level of your carpets, walls, timbers and the skirting boards in your property. You may believe the carpets are dry by touching and feeling it, however the underlay of the carpet may still be wet or there might be a little bit of humidity which simply can’t be felt by touching or feeling the surface of your carpets. This is why you will need an expert in Canberra to assess your carpets, give you advice and take action accordingly. Ecodry has a fully operational 24/7 flood restoration service in Canberra waiting by the phone to take your next emergency call. Give us a call right now or fill out our contact form and we’ll be there within 1 hour to ensure your home has been restored to its original condition ASAP. Get an instant quote and make a booking online using our smart booking system in less than 10 seconds! Copyright © 2019 Affordable Carpet Cleaners | Proudly Providing Professional Services Across All Suburbs of Canberra.